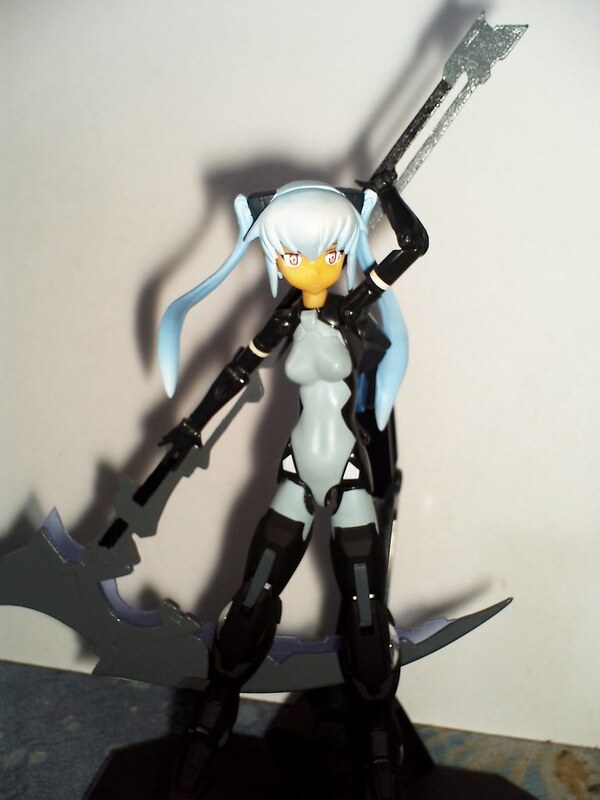 When I first saw the White Rock Shooter figma (the one bundled with the Black Rock Shooter PSP game), my eyes went straight to what she was holding... one of the coolest-looking weapons I've ever seen! 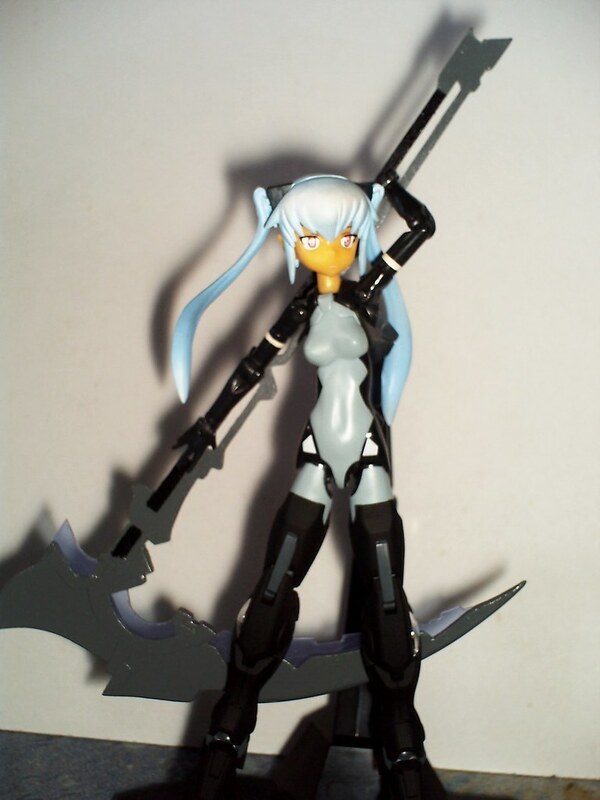 (has a preference to melee weapons >_<). 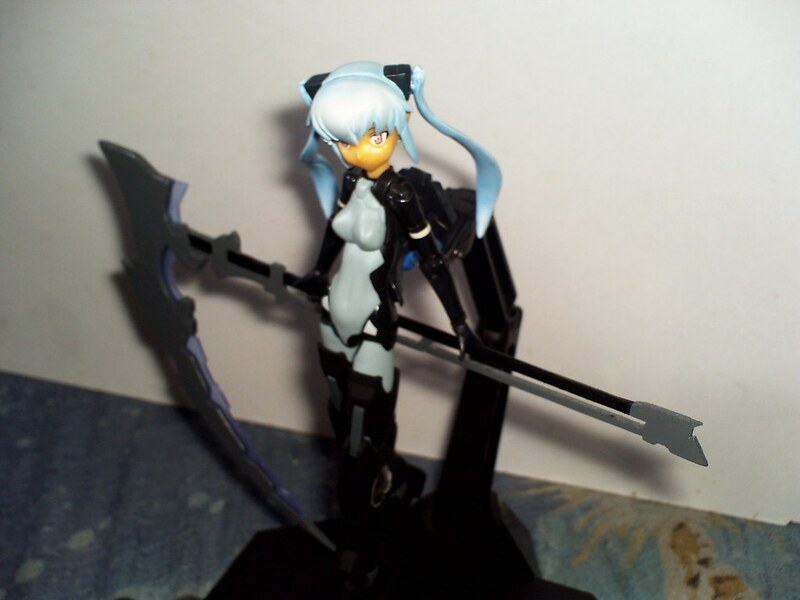 Sadly, she was not (currently) on my wish list, so I decided to build the scythe that's shinki-sized (figmas are a bit smaller than shinkis) and with a few alterations to the design (white weapons don't look that good on a black-themed Strarf, IMO). I ran out of scrap plastic so I bought plastic dvd cases to use. I chose the transparent ones cause they're thin and look easy to work with... but I was wrong! 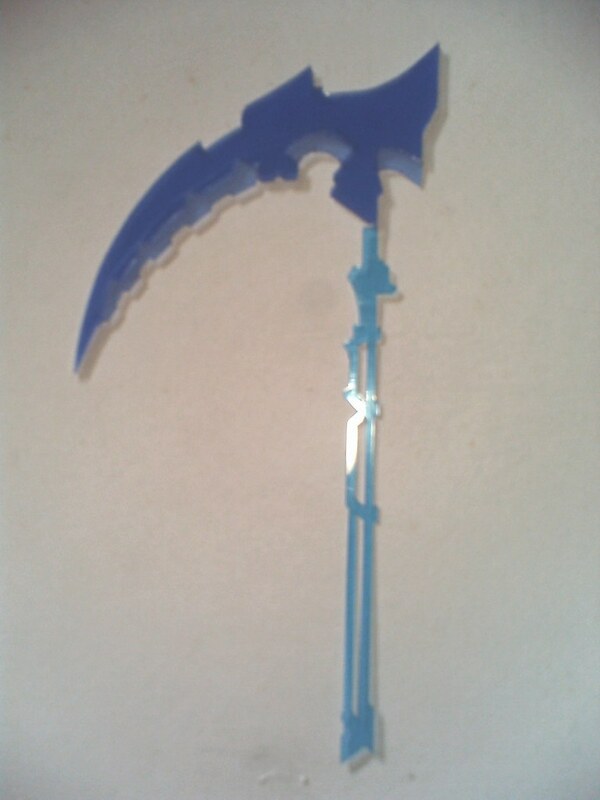 The plastic is tougher than any I've ever used (chipped my cutter blade twice!) and was a pain cutting the curved edges. But that would mean a very strong finished product so I guess that's good too. 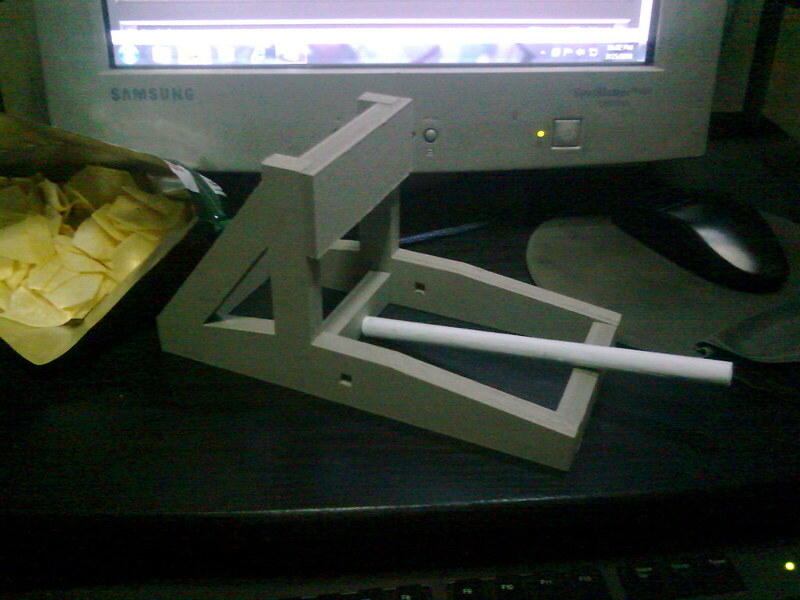 Here's what it looks like when assembled. Why do you have three versions of the blade? 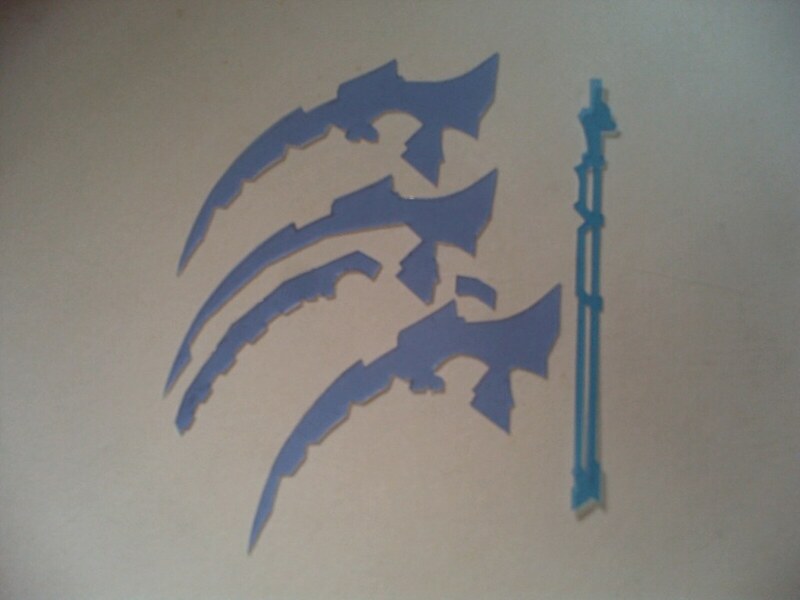 blade_anime wrote: Why do you have three versions of the blade? 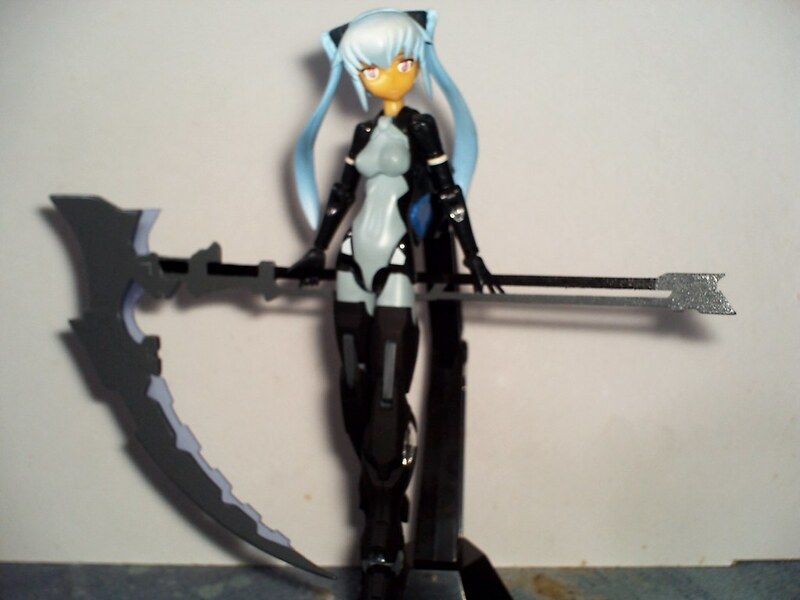 It's just one blade, gonna be built on three layers. 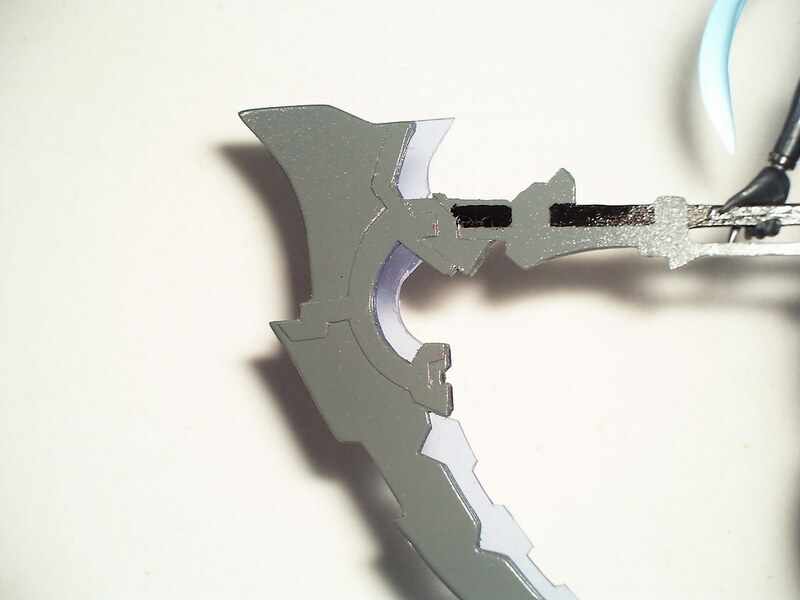 The middle layer is in three pieces cause I want the blade edges separate, so it'll be easy to paint it a different color, or keep it transparent altogether (2nd pic). 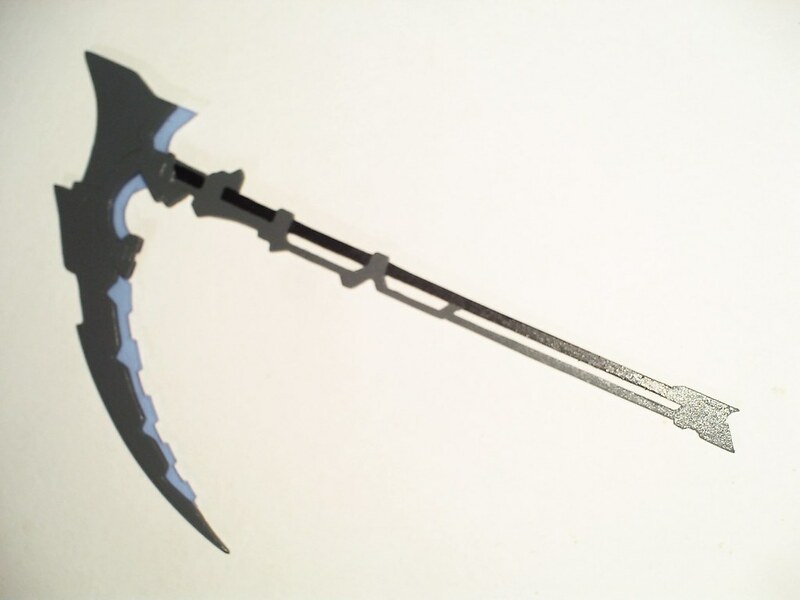 I also rebuilt the handle cause I kinda botched the way it's supposed to be connected to the blade, and that the proportions aren't quite correct (the old one is on the right). 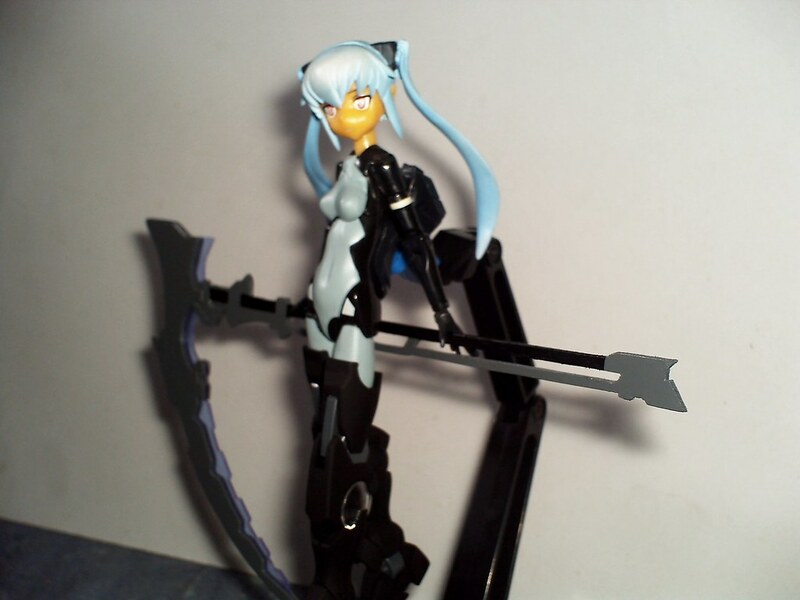 White Rock Shooter inspired Mecha-Scythe done! 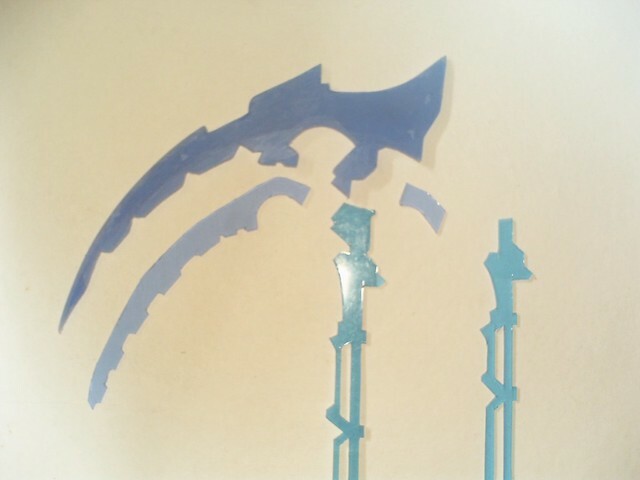 After assembling and gluing the pieces together, I glued a couple of pieces cut out from thin plastic sheet to add detail. Then came painting... gray works here it because matches Strarf's black/dark theme (thanks Mikuo!). 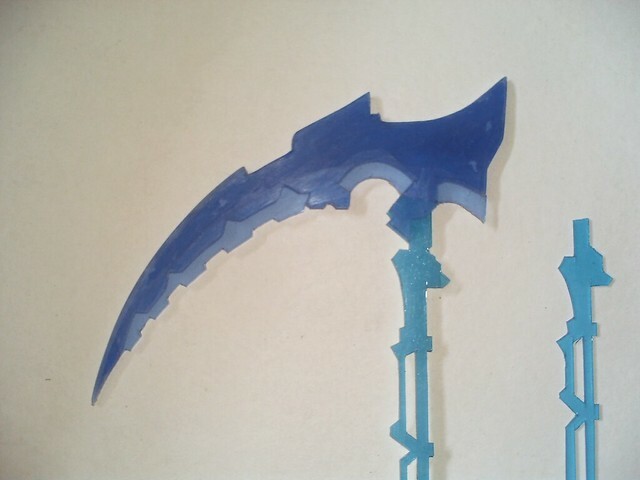 The violet blade edges are removable (had to remove them before painting) and can be replaced with other colors, but I like how it looks now. Nicely done and an awesome outcome! Mikuo_Hatsune wrote: Nicely done and an awesome outcome! Hey, thanks for suggesting gray for the base color (I'm kinda indecisive when coloring is involved). It can launch b-daman marbles around 9-10 feet. 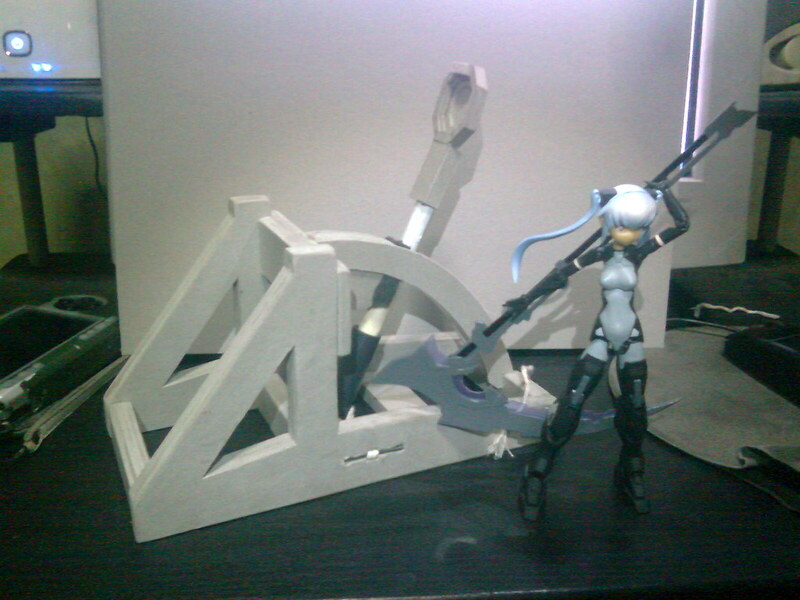 I used 2 loops of cotton string for adding torsional pressure on the arm, twisted three times (has the same power as 5 large rubber bands twisted six times), I would have used more, but I'm worried about the onager's structural integrity, it is cardboard after all.